"In Gonick's work, clever design and illustration make complicated ideas or insights strikingly clear." Larry Gonick, master cartoonist, former Harvard instructor, and creator of the New York Times bestselling, Harvey Award-winning Cartoon Guide series now does for calculus what he previously did for science and history: making a complex subject comprehensible, fascinating, and fun through witty text and light-hearted graphics. 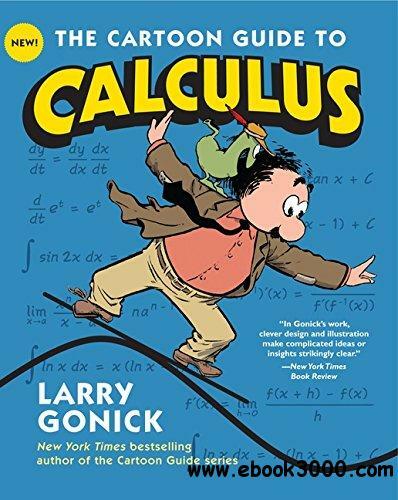 Gonick's The Cartoon Guide to Calculus is a refreshingly humorous, remarkably thorough guide to general calculus that, like his earlier Cartoon Guide to Physics and Cartoon History of the Modern World, will prove a boon to students, educators, and eager learners everywhere.